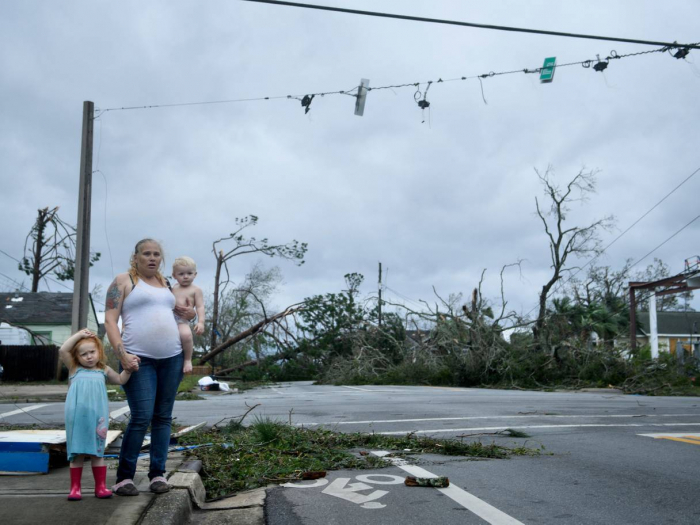 At least six people have been killed in the United States by Hurricane Michael, as search and rescue teams begin the tough task of finding those stranded by the devastating storm that Florida Governor Rick Scott says brought “unimaginable destruction”. 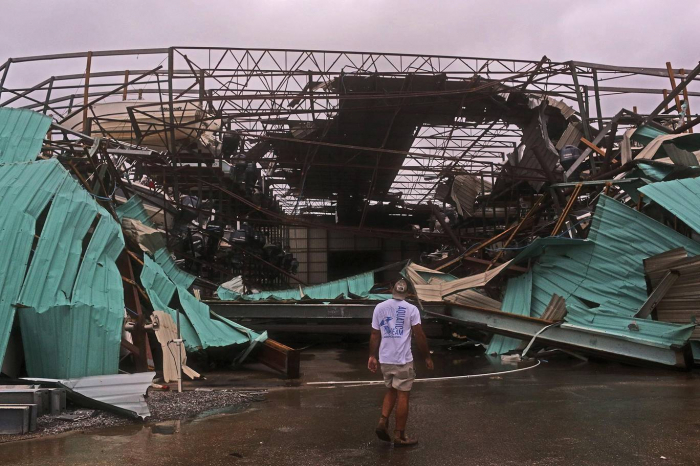 Those recovery efforts began soon after Michael — which was later downgraded into a tropical storm as it passed through the US southeast — rushed through the Florida panhandle, ripping apart homes and businesses in its path and leaving some areas in Panama City and Mexico Beach utterly destroyed. 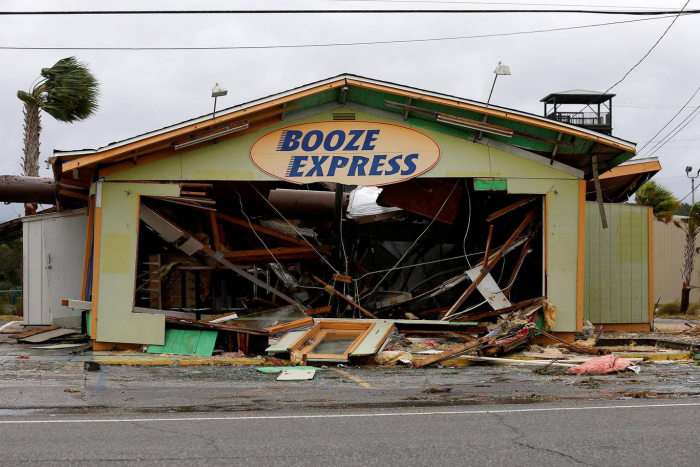 The death toll is expected to rise as a better picture of the devastation is developed. “So many lives have been changed forever. So many families have lost everything. Homes are gone. Businesses are gone,” Mr Scott said shortly before a planned tour of the devastation. “Roads and infrastructure along the storm’s path have been destroyed. This hurricane was an absolute monster, and the damage left in its wake has yet to be fully understood”. 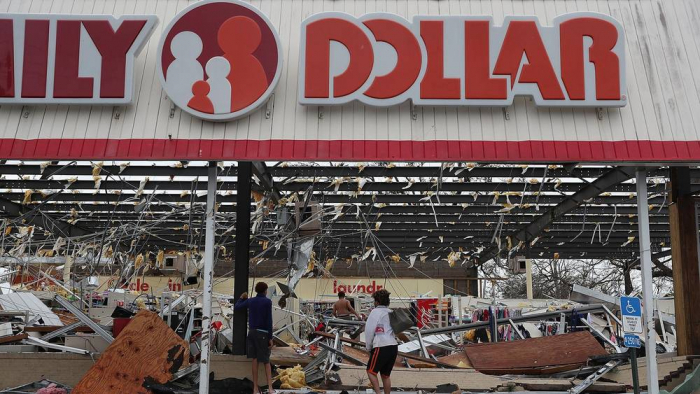 Hurricane Michael made landfall Wednesday afternoon as a Category 4 storm with sustained winds of up to 155 mph, just shy of the wind speed needed to be classified as Category 5. 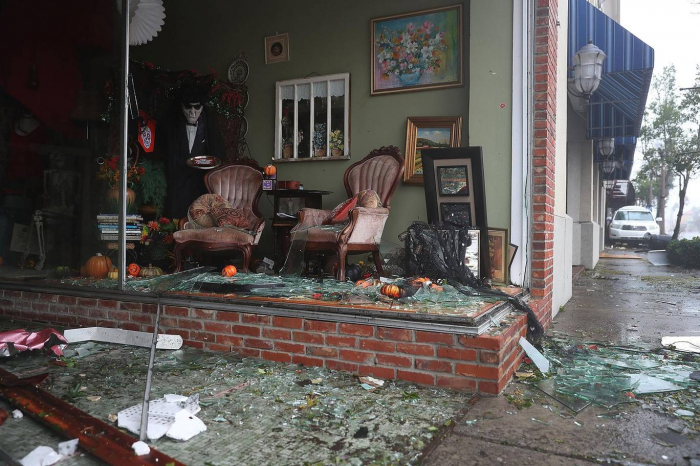 The storm tore through coastal cities and towns, and left more than 700,000 homes and businesses without power in states along its route from Florida to North Carolina. 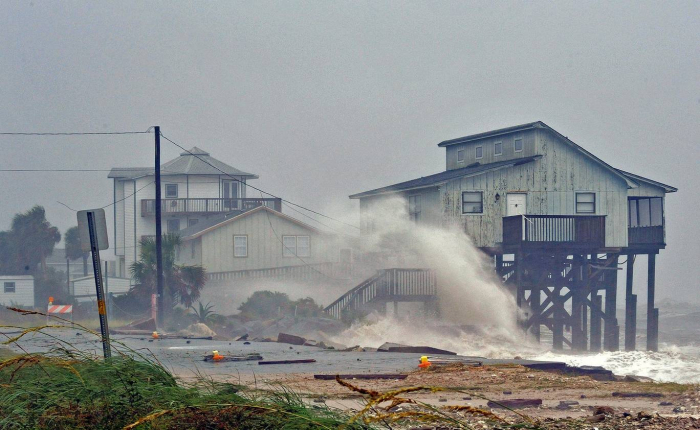 As the storm approached, thousands were evacuated from the panhandle to shelters that were opened in the region to keep people safe. The devastation led President Donald Trump to issue a state of disaster in Florida on Wednesday, deploying federal aid to supplement state response and recovery efforts. Even before the storm walloped the Florida panhandle, Federal Emergency Management Agency (Fema) Administrator Brock Long was warning of what was to come on Wednesday — deadly storm surges, vicious winds, and the long-term prospects that some areas may not recover for many months, if not years. “It’s doing exactly what the forecasters were pushing forward — storm surges, you’re seeing ocean rise,” Mr Long said from Fema headquarters in Washington. “The power is going to be out for weeks, and infrastructure is going be heavily damaged,” continued Mr Long, who told the president during a briefing that Michael was expected to be the most intense storm to hit the area since 1851, when record keeping began. Michael caught the attention of politicians at all levels of government, leading Mr Scott — who is running for the US Senate against Democratic Senator Bill Nelson — to request that a planned midterm debate with his opponent be pushed back two weeks so he could focus on recovery efforts in Florida. An separate political effort on behalf of Florida Democrats to extend the voter registration deadline in the state beyond the planned Tuesday deadline was rejected by a federal official, but local election offices can receive paper registrations for up to a day if offices were closed on deadline day because of Michael’s coming devastation. Responding to the images and stories out of Florida, Mr Trump described the devastation in similar terms to his Fema administrator, Mr Scott, and the news reports that had begun documenting the impact. “This one went very quickly, but its tremendous destruction in the areas and the path that it chose is incredible for destruction,” Mr Trump said on Thursday at the White House. “We have not seen destruction like that in a long time”. 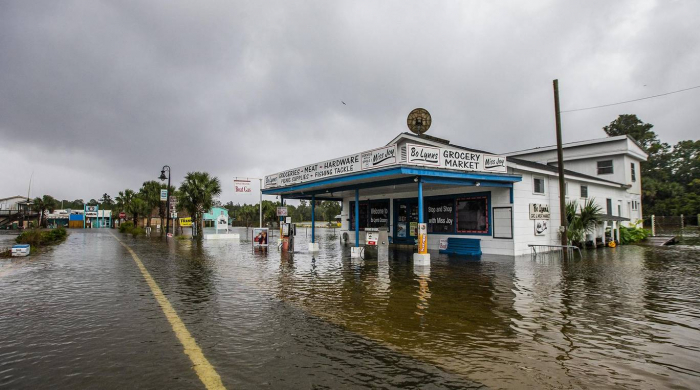 After hitting Florida, the storm moved north and east and was dumping rain on parts of the Carolinas and Virginia by Thursday evening. The storm is expected to travel north through the Carolinas before toughing the southeastern corner of Virginia, then moving out to sea in the Atlantic.